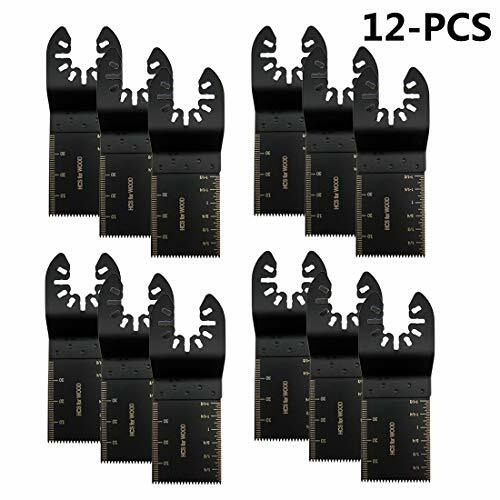 12 PCS 1.34 INCH(34mm) saw blades set Include Standard tooth and Japanese tooth .A great selection of blades for cutting wood,plastics, soft metals and more. You can choose the right one for your cutting purpose and it fits most of universal machine . If you have any problem with our product , please do not hesitate to contact us, we will do our best to offer you satisfactory solution as soon as possible ! If you have any questions about this product by Tuhoomall, contact us by completing and submitting the form below. If you are looking for a specif part number, please include it with your message.